Woolrich Woollen Mills, showing for the first time at Pitti in parent company WP Lavori in Corso’s brand new pavilion, featured shockingly vibrant African tribal printed camp shirts, scarves and neckties paired with khaki trousers and safari-style jackets. 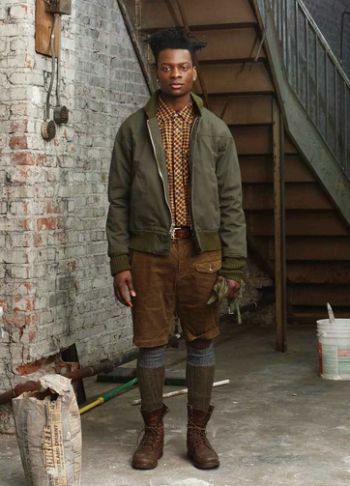 The designer Mark McNairy capped one look with an olive canvas and mesh bucket hat cleverly reminiscent of a Pith helmet, but was actually inspired by the signature headgear of J.J. from the TV series “Good Times.” The collection was absolutely “Dy-no-mite,” as J.J. would say. Engineered Garments, another show favorite, did an amazing group of polka-dotted clothing that played with size and scale. Cotton sport jackets, shirts, shorts, pants and ties — in differing sizes of dots, in bold navy and white or a more quiet, chic khaki and white — can be combined for bold, strong looks or worn separately as accent pieces. Make mine a combo, please. * Bruce Pask again has an excellent writeup for the NYTimes on most of the brands I was interested in. Likewise, Khabi on Fashion Buyer UK has also shared his thoughts on what was shown. * Men’s Mentore had some great coverage with lots of pictures. Oddly the only highlight for me are those floral print squares from Hill-Side. * Fashionising has published a list of observations they made about some of the lines and on the show in general. 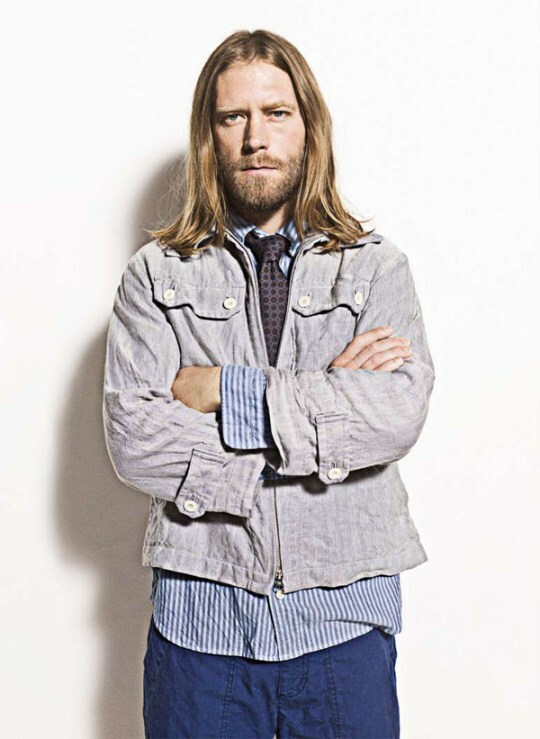 Eric Jennings, vice president and fashion director of men’s for Saks Fifth Avenue, said that after holding off for a couple of seasons due to the recession, men want to replace holes in their wardrobe, whether for suits or sportswear. Among the main challenges for the sector, however, are the price hikes instituted by vendors following steep increases on raw materials and piece goods, many of which have risen by up to 30 percent. “I think the vendors are very cognizant of [the situation] and will partner with us, and we won’t get sticker shock this season, but it’s a huge factor,” he said. 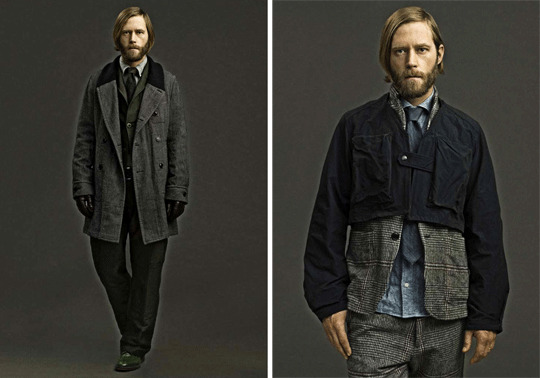 * Nigel Cabourn continues to do his thing. The Brady bags look great, but the Eddie Baeur collection feels off in that none of the pieces look like anything Eddie Baeur has ever made (not in a good way). On mention of which, when is Eddie Baeur going to get its act together and come out with a line based on its archival pieces? * Très Bien Shop has posted pictures of their trip to their flickr account. Lots of previews of favorite brands are shown. 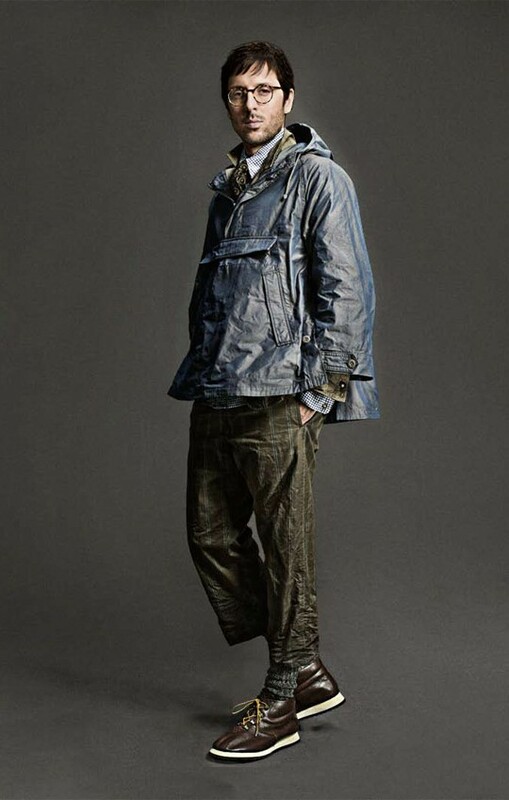 * In continuing the race to market his name into the ground, Barbour premiered its new Steve McQueen collection. Like the previously branded clothing line which nobody bought, some elements of it are pretty naff. Yes, he’s an icon, but screenprinting his image on the inside of your riding jacket is going a bit too far. 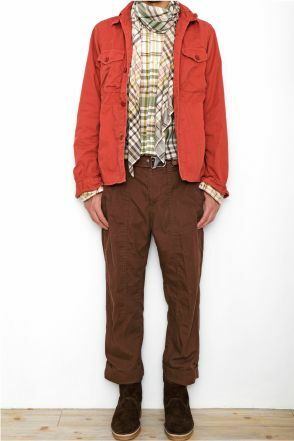 Pictured above, FW11 preview images from ts(s) and below, Engineered Garments. 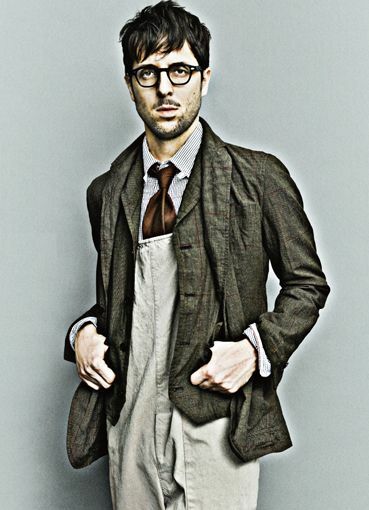 Denimaniac has a preview of the ts(s) Spring/Summer 2011 collection, which will have lots of draping fabrics and vintage looking sportcoats. Go check it out. 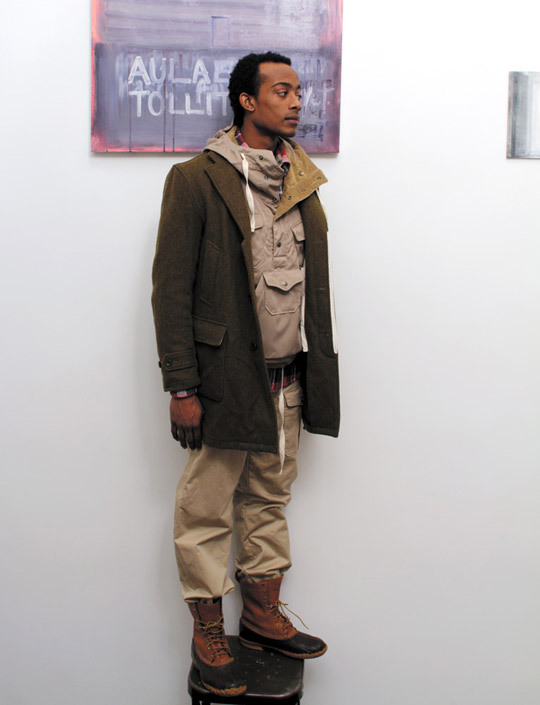 More looks for ts(s) Fall/Winter 2010. Context will be carrying this line for the upcoming season. 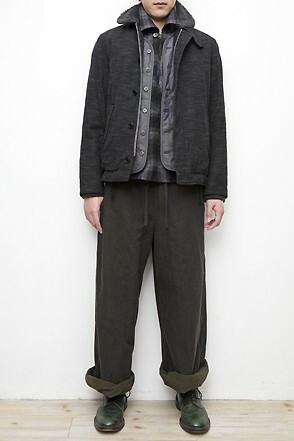 Denimaniac has the first images of ts(s) FW2010 from Takuji Suzuki. Some of the footwear looks interesting – are they the boots that were reported to be made in collaboration with Takahiro Miyashita? 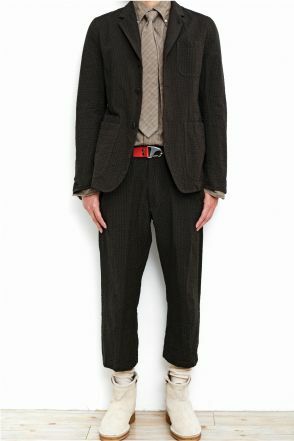 In this picture: ts(s) jacket, Engineered Garments cardigan, and Woolrich Woolen Mills trousers. 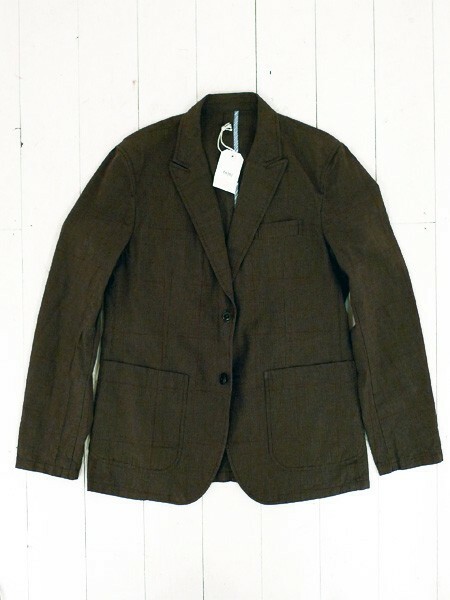 Golden Bear leather jackets for Engineered Garments and Takahiro Miyashita working with Takuji Suzuki? Fall/Winter 2010 is going to be an amazing season for fans. 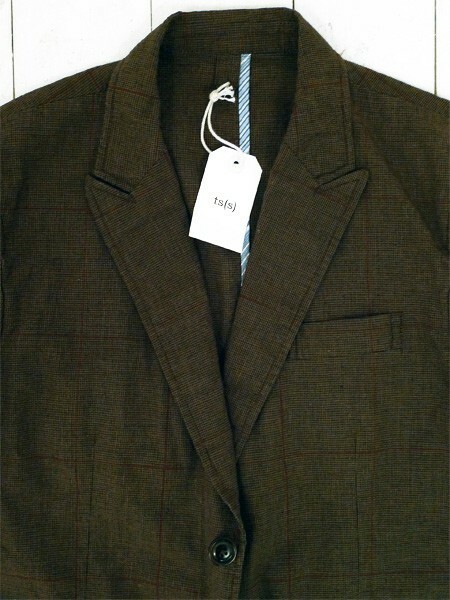 The Bureau is starting to put up its shipment from ts(s), the first piece being the olive peak lapel sportcoat that’s featured here. The windowpane pattern looks excellent, but I can’t help but notice what looks to be like working buttons on the cuffs (making alterations a pain) and the shorter than expected measurements – us taller folks who need long sleeves will probably have to skip out on these. 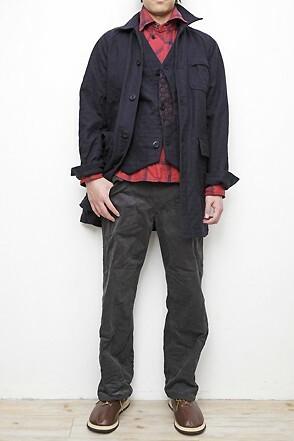 More SS2010 looks for ts(s) by Takuji Suzuki. See Part 1 here. Also, good news: The Bureau is going to be carrying ts(s) and is expecting their first shipment before Christmas!